Before entering the field of travel and hospitality and beginning his professional career, Curtis Carlson Nelson gained valuable insight and experience throughout his education, earning honors and high recognitions along the way. In 1986, Curtis graduated from Cornell University, earning a Bachelor of Science degree in Hotel, Motel, and Restaurant Management. From there, Nelson went on to study Business Administration and Management, earning his Master’s degree from the Carlson School of Management. The Carlson School of Management is a business school at the University of Minnesota. Curtis Carlson Nelson has also earned honorary doctorate degrees from both Niagara University and Johnson and Wales University. Over the course of his career in the travel industry, Curtis Carlson Nelson has worked and volunteered with numerous travel groups and organizations. Two major groups he has worked with in recent years are the Travel Business Roundtable as well as the World Travel & Tourism Council. Established in 1995, the Travel Business Roundtable is a trade organization designed to continue the momentum of the White House Conference on Travel and Tourism. Making up part of the U.S. Travel Association, the Travis Business Roundtable is a non-profit organization that works on improving all aspects of the travel industry. Curtis Carlson Nelson is a dedicated member of the Executive Committee of the World Travel & Tourism Council, based in Washington, D.C. The WTTC is made up of members of the global business community. It works with governments to build awareness about the travel and tourism industry. In the hospitality industry, Curtis Carlson Nelson has worked with the University of Delaware as well as the University of Houston. At the University of Delaware, Curtis Carlson Nelson works in the School of Hotel, Restaurant, & Institutional Management. This distinguished department is known across the nation for its esteemed reputation for hospitality and business education. At the University of Houston, Nelson has worked with the university’s Conrad Hilton Hotel School. The Conrad Hilton Hotel School has been consistently ranked among the top hospitality programs in the world. 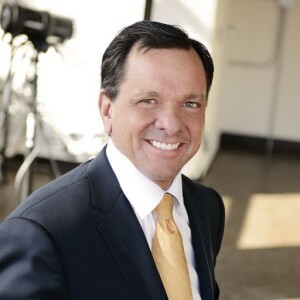 To learn more about Travel and Hospitality Executive, Curtis Carlson Nelson, check out his Linkedin page: https://www.linkedin.com/in/curtis-nelson-77a50b50.